Jamaias DaCosta is a mother, facilitator, spoken word performer, writer, DJ, radio geek and a lover of futurist resurgence movements. As a facilitator, she has worked with elementary and secondary schools in the Toronto and Durham District School Boards, University of Toronto, York, Ryerson and OISE,. She has also worked with multiple organizations and at conferences to deliver workshops and trainings in safer space curation and anti-oppression, social justice training with a focus on art, Indigenous education and decolonial thought. As a spoken word poet, Jamaias creates narratives inspired by her ancestors and mixed identity, and has performed both with r3 collective as well as a solo artist at the Allied Media Conference in Detroit, Urban Alliance on Race Relations, Art Gallery of Ontario, Bold as Love Toronto, the Feminist Art Conference, Mixed Arts Conference and many other local community venues and events. As a writer, Jamaias has written for Caribbean Tales Film Festival, CBC, Penguin Eggs, Shameless Magazine, Muskrat Magazine, First Nations House Magazine and been published in many online and print publications. Jamaias (aka Jams) has been co-host, deejay and producer of The Vibe Collective radio show since 2007, and producer of Indigenous Waves Radio since 2011, both on CIUT 89.5FM. ​Jamaias is Manager of Programs and Development at the Children’s Peace Theatre; and works with Monique Mojica at Chocolate Woman Collective. Jamaias sits on the advisory Board of Mixed in Canada and is a self identified mixed settler of Kanien’keha:ka, Cree, Irish, French, and Jamaican (Colombian, African, Portuguese, Sephardic Jew) ancestry. Jamaias will be releasing her first spoken word recording project, Flint & Fire in 2016. ​Aruna Boodram is a first generation settler/immigrant that has been involved in community organizing for the past 12 years in Toronto and Kingston. She is a licensed paralegal and Community Legal Worker at the South Asian Legal Clinic of Ontario. She is also an independent consultant and facilitator that specializes in anti-oppression, consensus and facilitation training and strategic planning sessions for non-profits and grassroots organizations. She is the News Editor for Indigenous Waves Radio Show in Toronto on CIUT 89.5FM. She enjoys reading science fiction, DJing and exploring her foodie lifestyle. Whitney French is storyteller and a multi-disciplinary artist. She is a certified arts educator who has executed over 100 workshops in schools, community centres, prisons, group-homes and First Nations’ reserves. Her debut collection 3 Cities was self-published in April 2012. Additionally, her writing has been published in Descant Magazine and anthologized in The Great Black North: Contemporary African Canadian Poetry with forthcoming work in Canthius Journal and Selfish Magazine. Whitney French is also the founder and co-editor and of the nation-wide publication From the Root Zine. Recently Whitney launched the successful workshop series titled: Writing While Black, an initiative to develop a community of black writers. Since she transformed her findings from these workshops into a travelling lecture series having visited Montreal, New York and Pittsburgh at local and international conferences. Whitney French is self-described futurist who will be sharing her facilitation practices and theories at the Octavia Butler Legacy and Letters Conference at Spellman College in Atlanta. Her upcoming verse-novel entitled O is a work of science fiction chronicling the journey of a young astronaut’s mission to find a new Earth. Jermaine Henry is a Social ARTrepreneur who is passionate about connecting and inspiring people to be their best. Through drama, MCing, facilitation and spoken word he aims to co-create meaningful moments rooted in compassion and courage. Jermaine is Education Lead with arts collective Spoke N' Heard who performs, facilitates and collaborates with various stakeholders in the social sector including York District School Board, Children’s Mental Health of Ontario, Children Peace Theatre, Youth Social Infrastructure Collaborative, and YouthREX of York U. His mission is to use his artistry and facilitation skills to curate brave spaces promoting freedom, love and equity. Tanisha Taitt is a director/actor/playwright and arts educator. She has worked with theatre companies including Nightwood, Acting UpStage, Obsidian, National Arts Centre, Buddies In Bad Times, Toronto Youth Theatre and Soulpepper, and spent two seasons as a Resident Artist Educator with Young People's Theatre. Also a singer-songwriter, she is a recipient of the Canadian Music Publishers Association Songwriters Award. As an anti-VAW activist, Tanisha spent six years as Producer of V-Day Toronto and was National Coordinator for One Billion Rising. Tanisha is Director of the Peace Camp program at Children's Peace Theatre, an organization which teaches young people about conflict transformation through theatre. Tanisha was chosen as one of Toronto's Mille Femmes, a group of women whose creative voices are shaping the future of the arts in the city. In 2015, theatre critic Lynn Slotkin bestowed an inaugural “Tootsie” Award upon her, in the “They Can Do Anything” category. She is a two-time YWCA Woman of Distinction nominee for her commitment to artistic excellence and social justice. 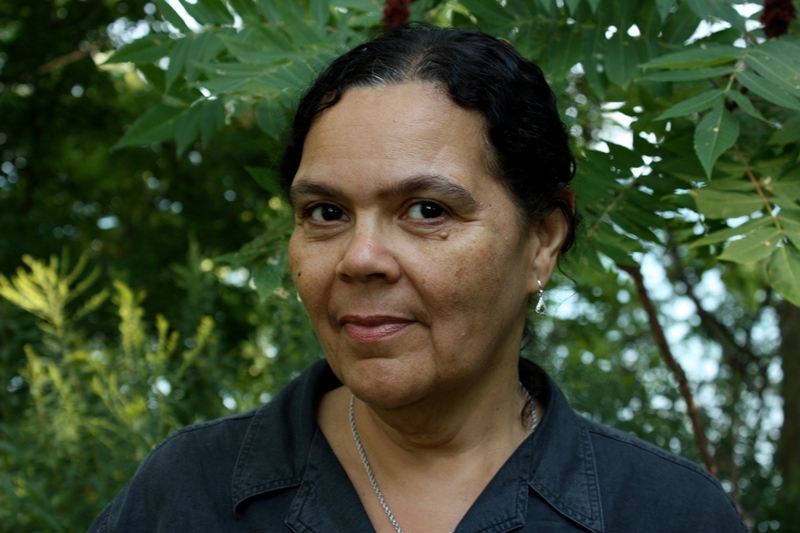 Rema Tavares is an artist/educator and her work has shown in several exhibitions both nationally and internationally. Rema’s work centres around her Black-mixed identity in Canada and she draws much of her inspiration from her fellow Afro-Canadian and mixed-race identified communities in all their splendid intersections. She is a member of 3MW Collective, a group of three mixed-race identified women who use visual art as a vehicle to deconstruct mixed-race identity. She is the Founder of Mixed in Canada, a national critical resource centre for racialized mixed-race identified Canadians. Rema is also a co-founder of the MIXED Art Conference, a biennial art conference focused around racialized mixed-race identity and intersectionality. She is an Advisory Board Member of QofG, grassroots organization and online transnational visibility project, dedicated to affirming and acknowledging the various genders and gender expressions within Black, Indigenous and People of Colour (BIPOC) communities. Coty Zachariah/ Rata:tsi Kawera:ke is a student at Trent University in the Indigenous Studies Honours program. He is a youth leader who was born in the City of Toronto. His heritage has roots stemming from the Black and First Nations community, specifically the Mohawk and Nova Scotiona Mi'kmaw Nations. He is a registered member of the Mohawks of the Bay of quinte; Turtle cal from Tyendinaga, Ontario. Coty leads cultural workshops and exchanges to bridge the gaps between Indigenous, Non-Indigeous and Newcomer communities and has been a panelist regarding Indigenous and student issues across Canada. He co-hosted a radio show on CIUT 89.5FM called Indigenous Waves, which promotes Indigenous artists, their work and community issues. He also meets with Members of Parliament and Senators to advocate on behalf of students needs and concerns regarding access to education. His current roles are First Nations, Metis and Inuit Student Rep for the Student association of George Brown College and Chairmain of the National Aboriginal Caucsu-Canadian Federation of Students.